The future direction of plant breeding in Europe is at stake as the EU Commission prepares to give its view on how new technologies should be classified. Alistair Driver reports as the next phase of the GM debate begins. EU policymakers are about to embark on a process which will go a long way to shaping the future of plant breeding in Europe - and whether EU farmers will be able to benefit from an emerging new technology. After years of contemplation, the European Commission is expected to publish soon, possibly by the end of this month, its opinion on how the relatively new technology, genome editing, should be classified and regulated. This will kick-start a process which will eventually determine whether crops created by the technology, or at least strands of it, should be classified as genetically modified organisms (GMOs). The stakes are huge, according to scientists working on the technology, which has been around for a decade but is still very limited in terms of commercial application. Genome editing involves inserting pieces of DNA, known as ‘molecular scissors’ into a host plant to cut and alter the genome of the host plant. In its simplest form, the technology deletes or alters existing genes without introducing new DNA (scroll down for more information). Prof Huw Jones, who is working on applications of the technology at Rothamsted Research, Hertfordshire, said genome editing had the potential to revolutionise plant breeding in Europe, but only if policymakers treat it fairly. He said: “If it is seen as a non-GMO, it will streamline the approval process and could change how plant breeding is done. “If it is seen as a GMO, it will curb future potential and will largely kill the future of the technology for small breeding companies or institutes such as Rothamsted. Penny Maplestone, chief executive of the British Society of Plant Breeders, said the technology had ‘enormous potential to really speed up the rate of innovation’. But she added: “How the technology develops from here is completely dependent on what happens in the regulatory world. The environmental lobby, which has been campaigning against GM crops since the 1990s, predictably sees things differently. Various non-Governmental organisations have already joined forces to oppose the new technology and demand it is regulated as GM, despite industry protestations it deserves to be exempt. In a letter to the Commission, the group claimed ‘exempting new genetic engineering techniques’ from GM rules ‘could threaten the environment and our health, and would violate EU law’. So far, globally, just one commercial crop bred using genome editing, a herbicide-tolerant variety of canola has been approved. It should come onto the marketplace in the US and Canada in 2016. The Canadian and US authorities have so far classified genome editing technologies they have looked at as non-GM, an approach that seems to being followed in some other countries. In Europe, some EU member states, including the UK, have already made unofficial assessments, which it is understood came down on the side of the technology not being treated as GM. But, while Prof Jones describes the process of defining the technology in Europe as 'legal, rather than scientific' one, there is always the concern politics will hold sway. After all, for nearly two decades now, certain members have routinely voted against any GM application, whatever the situation. The result has been a political impasse that has prevented GM technology ever getting off the ground in Europe. Julian Little, chairman of the Agricultural Biotechnology Council, said it was ‘disappointing’ the Commission had still not made a clear decision. He insisted the ‘rational decision would be to exclude most, if not all, of the new technologies from the GM regulation’, but fears the opposite might happen. Dr Little said: “It would have a massive impact on some of the great work going on in the UK, which would have to be massively scaled back. AHDB Cereals chairman Paul Temple said the industry 'needed access to all available routes of genetic improvement' but fears EU policy making on the issue is misguided. He said "My fear of EU rule making is that it chooses to ignore rather than embrace science. "When public spending budgets are under pressure we increasingly rely on commercial investment and the current EU approach sends exactly the wrong signals for that investment to take place." 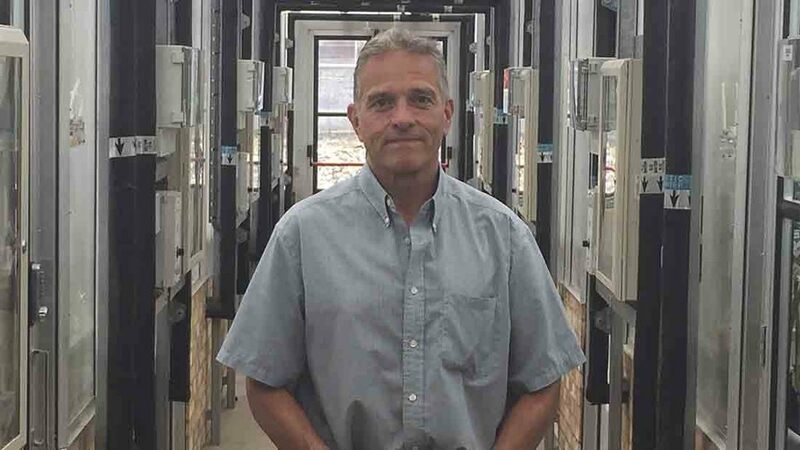 Dr Maplestone urged scientists and the seed supply chain to learn lessons from the long-running GM debate and communicate more effectively the potentially ‘enormous’ benefits of this new technology before it is too late. Prof Jones, who has been a vocal advocate of the new technology, agreed, insisting scientists were ‘more confident about being open’ and challenging ‘falsehoods’ about what they do, compared with 15 years ago. The media was now much more balanced when it came to reporting on issues like GM and reinforced the for the industry to go out and make the case for the new technology, he said. But soon all eyes will be on politicians and policymakers. Ahead of the Commission's announcement, Defra said it wanted the position to be driven by science. A Defra spokesperson said: “We are discussing with the European Commission and other Member States whether genome editing techniques are within the scope of the GM regulations. After seven years of scrutinising the issue, DG Sante, the European Commission’s health and food safety directorate, is set to publish a ‘legal interpretative note’ this autumn, possibly by the end of this month. Genome editing is a relatively new technology which enables scientists to change the characteristics of plants by ‘editing’ the genome sequence. The technology works by inserting natural enzymes, known as ‘molecular scissors’, into a plant which can be directed to specific parts of the genome. They bind to DNA at specific locations and cut it open. “You send this nuclease off like a guided scalpel and it finds a place in the genome where you want to make a cut and it does it,” said Rothamsted's Professor Huw Jones. Clustered regularly interspaced short palindromic repeats (CRISPRs). In its simplest form the technology ‘cuts and repairs’ the genome to alter it, for example by deleting parts of the DNA to ‘switch off’ genes, without adding ‘foreign DNA’. In more complex uses, scientists are looking to insert new stretches of DNA or even whole genes at pre-determined locations on the genome. How is it being used in plant breeding? After basic research, plant breeding is one of the most significant applications of this new technology. So far, one commercial crop using the technique has been commercially approved. Canadian and US authorities have approved a herbicide-tolerant variety of canola developed by Cibus Global, a US ‘precision gene editing’ company. The product is expected to come onto the marketplace in 2016. Other applications under development are looking to ‘knock out’ certain genes to remove traits which currently cause problems for growers and consumers, such as toxins or allergens in plants. 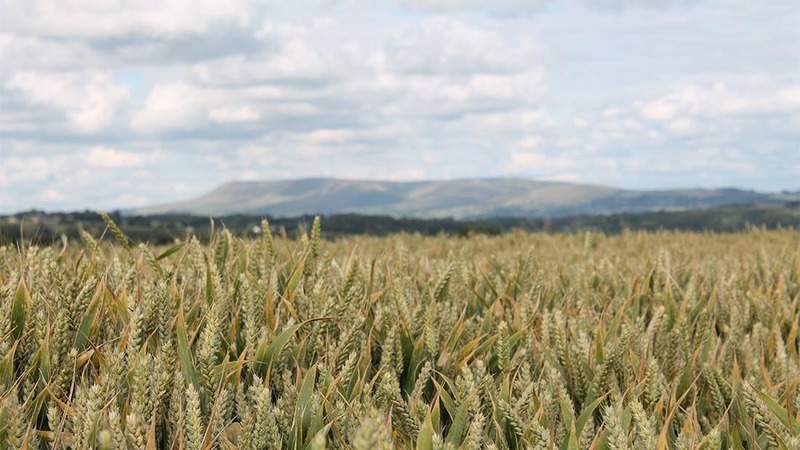 In the UK, the intention is to use genome editing to make a coeliac-friendly wheat. Researchers at Rothamsted are looking at the possibility of addressing acrylamide levels in cereals. 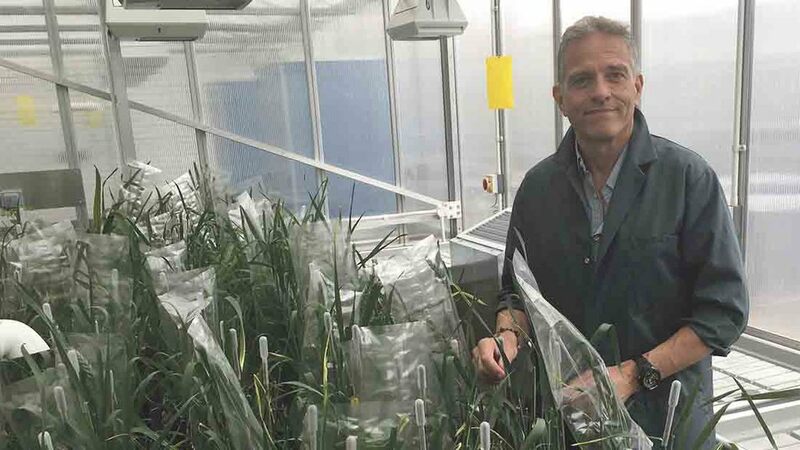 A 2014 research paper outlined how scientists in China had knocked out part of the wheat genome which results in plants being attacked by mildew. What else can genome editing be used for? Genome editing has been applied in the search for new human drugs, including a US trial for a drug to combat AIDS. It has been used in animal breeding. Researchers in China are using it to recreate a natural mutation responsible for hornless cattle, which would reduce current animal welfare issues of mechanically dehorning cattle. It has also been used to recreate the gene which provides excessive muscle development in Belgian Blue, other cattle breeds, pigs, sheep and goats. According to Prof Huw Jones, who has worked on the technology for years at Rothamsted Research, it will help address issues facing farmers, policymakers and consumers by introducing beneficial new traits. But its greatest potential benefit is its ability to speed up the breeding process. He said the technology could support Rothamsted’s 20:20 wheat programme, aiming to increase wheat yields to 20 tonnes/hectare (8t/acre) in 20 years. But it is not a quick or simple process, Prof Jones acknowledged, with the process of making a plant with the same mutation in every cell the biggest challenge. Prof Jones said: “If you make a cut in the plant’s DNA, every cell can repair the cut in a different way which creates a challenge to make a plant with the same mutation in every cell. “However, this can be overcome by also adding a repair template which is like a sticking plaster that heals the cut in the same way in all cells." It is also more limited than 'conventional' GM technology in the traits it can produce. Genome - the genetic material of an organism, containing all its DNA. Gene – specific sections of DNA controls the physical development and behaviour of organisms. Genes are hereditary, that is are passed from parents to offspring. DNA – carries genetic information in the form of two strands coiled round each other to form a ‘double helix’. Chromosomes – the structure that carries DNA. Should genome editing be classified as a GMO? The big question ultimately, is whether the various strand of genome editing should be governed by the EU Deliberate Release Directive 2001/18/EC, which covers EU crops bred using biotechnology. At this stage at least, there is no appetite to draft new legislation so the question EU policymakers are asking is simply where the new technologies fit. According to Rothamsted's Professor Huw Jones, it has become a process for EU lawyers, rather than scientists, who have completed their analysis of the technology. “It is a legal process and there is a team of lawyers looking at these technologies one-by-one, comparing them to the law as it stands to say whether the legal basis is or isn’t GMO,” he said. The Directive 2001/18/EC is based on the process used to alter a plant’s genome, rather than the traits of the end product. It covers plants and animals that have been altered in a way that does not occur by natural mating or genetic recombination. Prof Jones said there was no reason why the simplest forms of genome should not be excluded. He pointed to the hypocrisy in the regulation where mutation breeding is excluded from the regulation but it can still generate ‘major and unpredictable changes to plant genomes’. Penny Maplestone, chief executive of the British Society of Plant Breeders, said: “With all technologies, it is the end goal that is important, not the way you get there. ABC’s Julian Little said designating genome editing as a GMO would create a legal and logistical ‘minefield’ as other parts of the world, notably North America and South America, classified the technology as non-GMO. “In most cases it is impossible to distinguish between something that has been GM edited and that hasn’t as there is no GM in the resulting produce. It would be virtually impossible to trace so would very difficult to manage on a legal and would have big implications for trade." It is understood this is also a major concern among a number of the larger member states who are concerned at the implications of being unable to differentiate products at the end of the breeding programme unlike a traditional GM trait such as BT-Corn. Supporters of plant breeding technology insist the fundamental flaws in the EU regulatory process must be addressed at some point,. Mark Lynas, an environmentalist who now campaigns for GM technology, said the situation ‘illustrates the term GMO has no scientific validity’, as new technologies no longer fit outdated EU legal definitions. Pointing to the ‘vacuum’ in the EU decision-making process since the mid-1990s, Prof Jones said the long-term goal must be to make the regulation ‘less process-based’ and more focussed on the traits of the end product. "The lack of legal clarity regarding the regulation of genome editing undermines confidence in the technology and therefore stifles investment and innovation. He said it was appropriate that new varieties with 'significant novelty' were subject to a 'proportionate case-by-case risk assessment using conventional crops and farming practice as the baseline. But he said: "But continuing to use the 'process' of genetic improvement, rather than the novelty of the product, as the basis for risk assessment and regulation is scientifically illogical and short-sighted." Environmental NGOs inevitably take a different view. In an open letter to Vytenis Andriukaitis, the EU Commissioner for Health & Food Safety, earlier this a group of eight environmental and anti-GM organisations claimed ‘new genetic engineering techniques’ from GM rules ‘could threaten the environment and our health, and would violate EU law’. Even though one of the techiques, ‘cisgenesis’, uses genes from the same species, they claimed this was ‘still genetic engineering and therefore subject to unexpected and unpredictable effects caused by the genetic engineering process itself, and not by the trait or sequence inserted’. Calling on the Commission to 'reject any attempt to exclude these new techniques from EU regulation', the groups said: “Most of these techniques are so new that there is not sufficient information to properly assess the risks," the groups said. “Some also allow more radical changes to plant genomes than genetic engineering methods currently used in commercialised products." Next: Barley grain skinning ratings on the horizon?